Nowadays, knowledge-intensive enterprises, which offer knowledge-based products and services to the market, play a vital role in the knowledge-based economy. In the global networked age, collaborative business services have raised as one of the most important knowledge-intensive services that help enterprises to gain the competitive advantage. These services greatly depend on the ability to use network architectures to collaborate efficiently with business partners. This paper introduces the KB-CBSM (Knowledge-Based Collaborative Business Service Modelling) approach, which aims at providing a conceptual foundation for modelling effectively and improving incrementally collaborative business services in knowledge-intensives enterprises. The paper begins by presenting the necessity and principles of the KB-CBSM approach. Next, it presents the conceptual foundation that consists of three levels: Service value creation network, Service system and Service levels. The paper continues with a discussion and review of the relevant literature and ends with the conclusion and suggestions for further research. The term knowledge-based economy was coined as a result of the recognition of the importance of knowledge in economic growth (OECD, 2007). In the knowledge-based economy, the role of knowledge is considered more important than other resources such as natural, physical, and low-skilled labour resources. For this reason, the creation, use, and transfer of knowledge greatly contribute to the growth of the knowledge-based economy. Consequently, organizations heavily invest in knowledge to enhance the productivity and promote innovation (Steinmueller, 2002). Effective collecting and using knowledge become the core success factor of organizations and the national economy. A new industry, called knowledge-intensive industry, was established based on the creation and utilization of knowledge that motivate the positive changes in organizations. Knowledge-intensive enterprises (KIE) play a vital role in this industry that aim at offering to the market the use of fairly sophisticated knowledge or knowledge-based products and services (Doloreux & Shearmur, 2011). On the other hand, the service sector has dominated modern economies and has rapidly grown worldwide (Spohrer et al., 2007). Services mean opportunities, but enterprises that have been leading the charge still lack a strong foundation for their work, especially for collaborative service design for a value creation network (Bitner et al., 2008; Le Dinh & Pham Thi, 2012). Our research focuses on providing a conceptual foundation for modelling collaborative business services in knowledge-intensive enterprises. We consider that knowledge plays a crucial role in the service systems of knowledge-intensive enterprises and their value creation networks. In the service development process, information could be transformed into knowledge, and this knowledge could be used and applied to provide added value to customers. For this reason, this paper proposes an approach based on the knowledge development process and knowledge sharing within and between service systems of knowledge-intensive enterprises. We call this approach KB-CBSM (Knowledge-Based Collaborative Business Service Modelling). 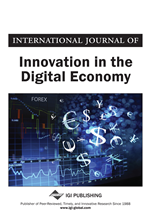 The main contribution of the paper is to provide concepts and guidelines to facilitate the use and adaptation of service description languages, and to specify different dimensions of collaborative business services in knowledge-intensive enterprises. The remainder of the paper is structured as follows. First, the background and principles of the KB-CBSM approach are presented. Thus, the paper explains the approach according to its three levels: 1) Service value creation network level for service proposal; 2) Service system level for service creation; and 3) Service level for service operation. We describe a running example of collaborative business services in a Continuing Education Institution. The paper continues with a discussion and review of the literature and ends with the conclusion and suggestions for future research.